Paying only the interest on your mortgage is a great way to trim down your monthly mortgage costs. It is not designed to be a permanent repayment structure. You can benefit most from an interest only mortgage by treating it like a payment holiday. If for example you are made redundant but are confident you will find a new job or have sufficient savings in your bank you may want to think about interest only. With an interest only mortgage you are not paying back the capital on your mortgage, you are just paying back the lender’s interest, It is designed to be a temporary solution to a short-term problem. People who took out high loan-to-value mortgage deals during the housing boom are now finding that they cannot meet their monthly mortgage payments and are having to pay back the interest only on their mortgage. It is not advisable to stay on this type of deal for long periods of time because it will ultimately increase the period of your mortgage and you will have to pay more interest on your loan as you are deferring payment.Interest only can be applied to most mortgage deals, an interest only mortgage is not a type of product that you take out, but more of a repayment method that you choose. A lot of mortgage lenders are starting to wise up to the growing number of people converting to interest only mortgages. They think there is a danger that if people fail to pay back more than the interest and the house falls in value they could risk falling into negative equity. 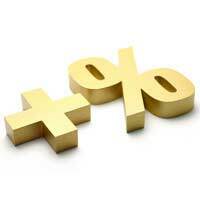 If you are on a normal fixed rate mortgage you should be able to convert to paying the interest only. Mortgage lenders have become a lot stricter about letting people opt for the interest only option. They are now restricting how much of your mortgage you can pay interest only. Lenders are only allowing you to pay up to 90% of your mortgage interest only, which means if you took out a 110% LTV mortgage when the market was booming, you will still have to pay the capital on the remainder of your mortgage. If you are finding your mortgage payments too much to handle you should speak to your mortgage lender or broker about switching to an interest only mortgage. The lender may charge you a small fee for transferring your mortgage half way through your deal, but this will normally be wound up into your overall mortgage. You will have to demonstrate to the lender that you have a repayment vehicle in place. This could either be a savings account, an ISA or some other form of payment that you are planning to build up to eventually pay back some of the capital. If you have been made redundant you will need to satisfy the lender that you are looking for work and there is a strong possibility you will be able to find a job. Paying the interest only on your mortgage can be beneficial when times are tough and you have no job but don’t be tempted into going down the interest only road unless you really need to. It may improve matters in the short-term but it will ultimately add to your mortgage term and debt, so it should be treated with caution. @janem100 - I'm afraid we can't advise on individual company policies. Hello, I was made redundant in November and got about £5k redundancy payment. I contacted my mortgage company and asked if I could go on interest only for a short period of time, say 6 months until such a time that my financial situation improved. (I only have 5 years left on my repayment mortgage and owe around £25K, my house value if £80K) They said I would need to fill in an income/expenditure form. I did this and was then advised that I would need to lower payments to my credit card companies, but I was eligible for interest only. I sorted this and called them back and finally after lots of messing about was put onto the interest only team who told me that as I have some money in the bank I must use that to pay my full mortgage payments. I had already explained that I have 3 children to support and I already have £500 a month deficit and this does not include any emergency repairs, maintenance, birthdays, kids clothes etc and therefore this could easily be £200 more. I suggested it would be reckless to spend the remainder of my redundancy without anything left as a back up, but they were not interested. I know people who have been on interest only for some time and these kind of mortgages are still available but Santander will not help me at all. I do not feel I am being unreasonable seeing as I have had my mortgage with them for 12 years, I have never missed a payment and I owe a great deal less than the value of my house. Any suggestions as to how I can get them to play ball?